Hey I am back with some interesting tutorial that is based on uploading shell in wordpress blog. I hope you all have read my last article if not then click here. As all of you heard about Wordpress its a blogging platform. 1. Access to the admin panel of vicitm wordpress website/blog. 2. A php shell, search it on google you will found one. 1. 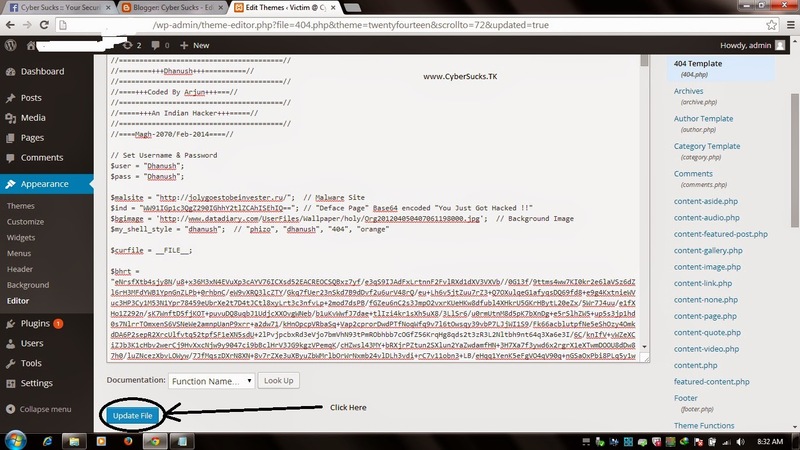 Login to the admin panel(dashboard) of your victim wordpress site. 2. Now in the left hand menu click on Appearance and them Editor like I am doing in image given below. 3. 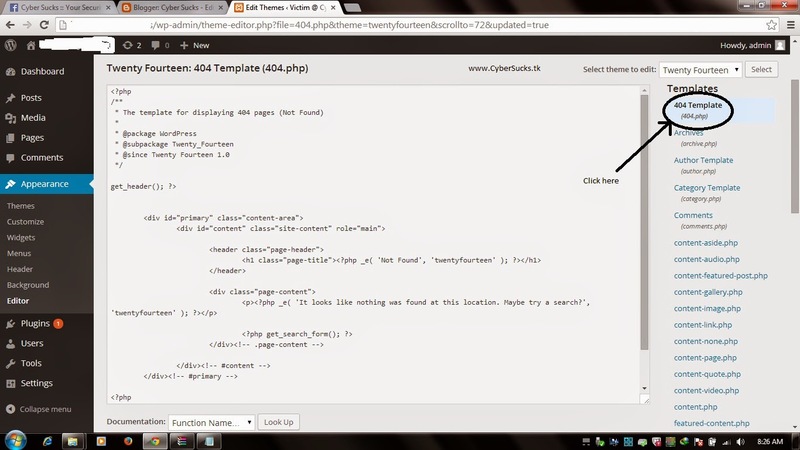 Now from right side click on 404 Template and then you will see the source code of 404.php in source code box. Like I got in image given below. 4. Now replace the source code of 404.php with our php shell code and then click Update File. Like I did in image given below. Make sure you edit www.site.com with your worpress site url and themename with theme installed on that wordpress site.